TENAX Maximum Strength C-Flex Fencing is the strong, yet affordable solution to heavy deer damage in a large residential or commercial area where feeding patterns have been established and competition for food is high. This deer fence features rounded tensile strands that will resist the stretching and sagging that may occur, unlike netting fences sold elsewhere and in big box stores. 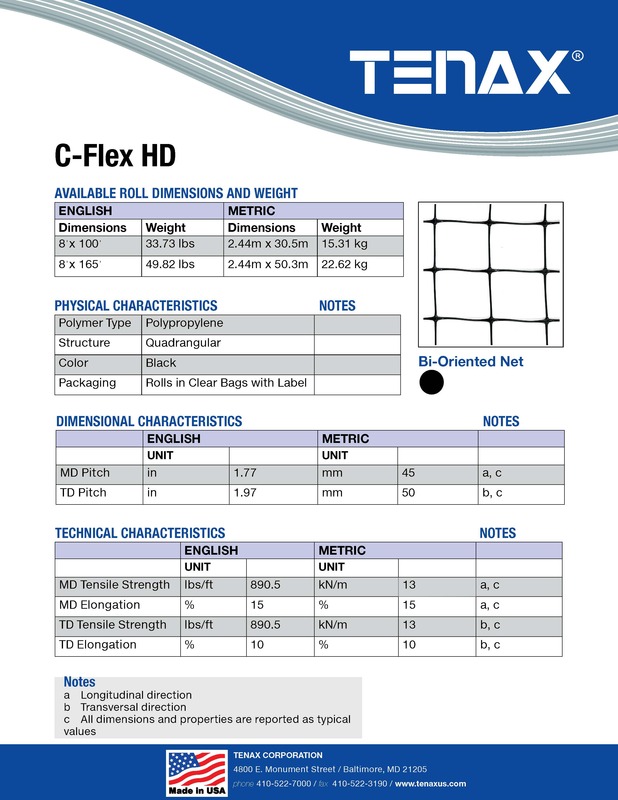 What makes Maximum Strength C-Flex Fencing THE right choice? C-Flex Fencing is simple enough for anyone to install without the help of a professional. Maximum Strength C-Flex is 150 grams per square meter, making it an incredibly lightweight alternative to more costly and complicated fence systems. Installation with our no-dig ground sleeve post system and UV treated heavy duty ties is simple enough for anyone. Once installed, this deer fence will require little to no maintenance.